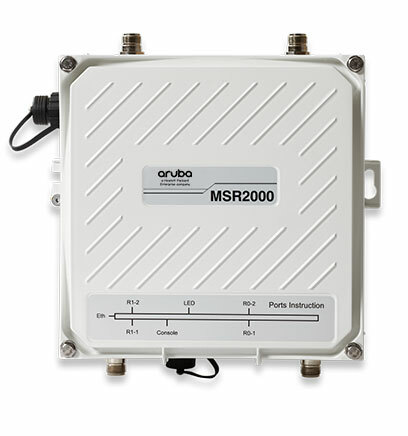 The Aruba AirMesh MSR2000 delivers high-performance wireless mesh routing to outdoor environments where wired connectivity is impractical or unavailable. Ruggedized and hardened to withstand extreme environmental conditions, the MSR2000 is ideal for deployment in metropolitan and industrial areas, oilfields, mines, and shipping ports. A multi-radio, multi-frequency architecture and adaptive Layer 3 routing using the Aruba MeshOS operating system make the MSR2000 unique. Together, they provide unparalleled capacity, reliability, low latency and seamless handoffs for voice, HD-quality video and other real-time applications.